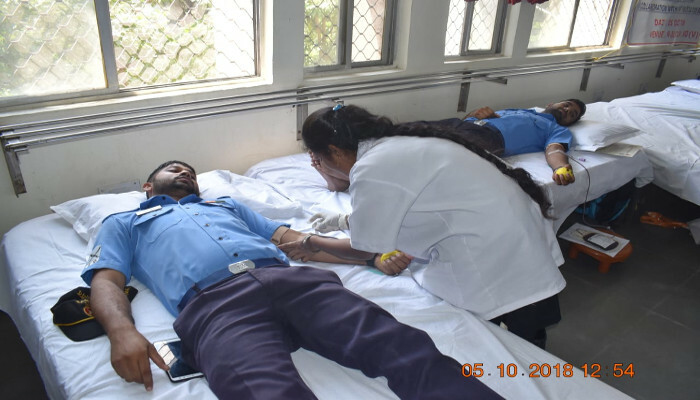 Leading up to the Navy Day on 04 December 2018, the Navy holds a string of events aimed at showcasing the ‘Silent Service’ and for raising awareness among citizens. The Eastern Naval Command too has scheduled a series of activities as part of the Navy Day- 2018 events. 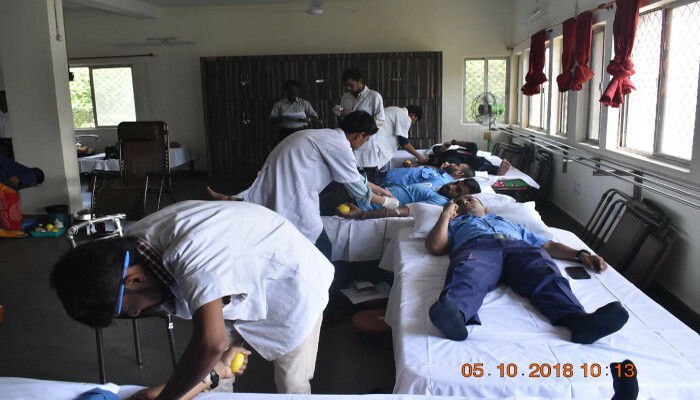 These activities spread out over two months, provide an opportunity to local populace to have a closer interaction with the navy. 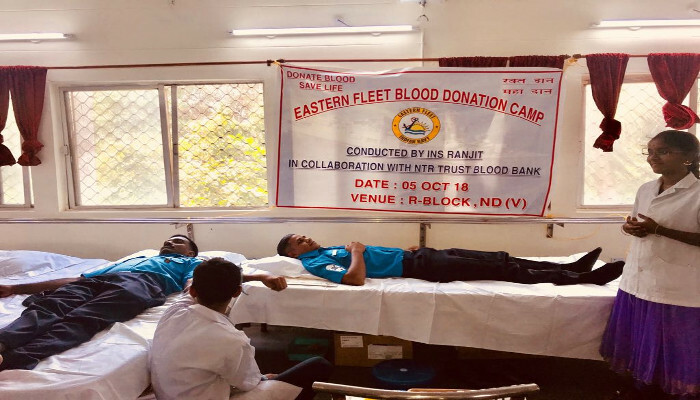 The celebrations started with a Mega Blood Donation Camp organised as humanitarian effort by the Eastern Fleet at Naval Dockyard Visakhapatnam on 05 October 2018. 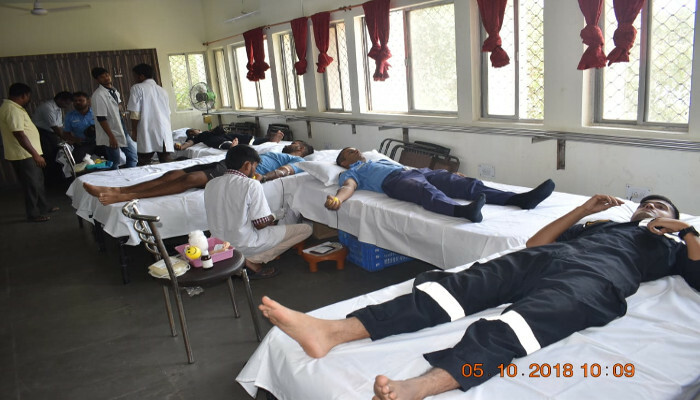 The blood donation camp was inaugurated by Captain Vikram Mehra Commanding Officer INS Ranjit. 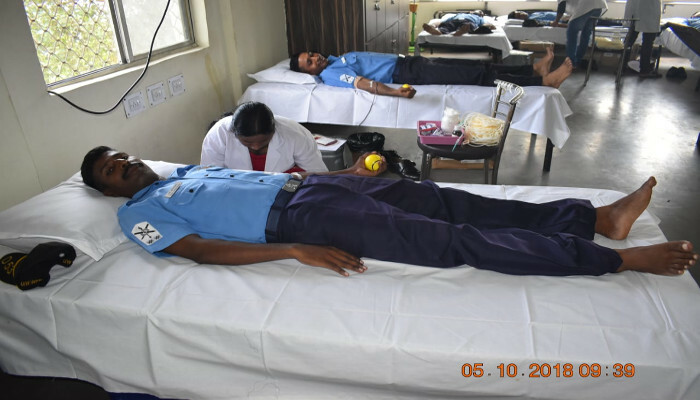 There was an overwhelming response from volunteers amongst the uniformed and Defence civilians, wherein 268 personnel donated blood which was handed over to NTR Trust Blood Bank and would be utilized to those in need especially for Dengue patients and road traffic accident victims. 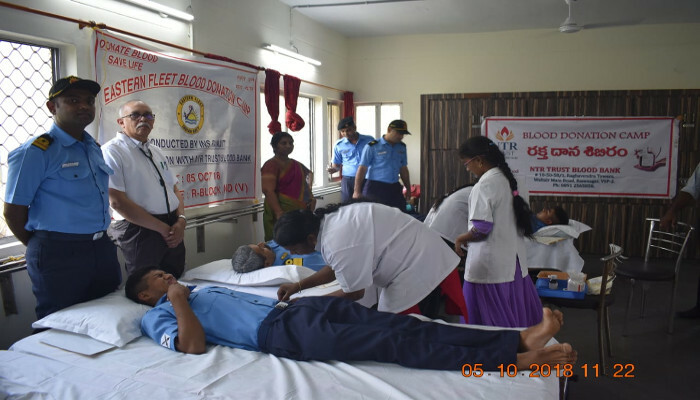 Other events being organised as part of the Navy Day celebrations this year include a Organ Donation Seminar, Special Children visit to INS Dega and Eastern Fleet ships, Public performances of Naval Band, two more Blood Donation Camps and an Outreach Program along with a Medical Camp in November. The most popular event, the fourth edition of Vizag-Navy Marathon is scheduled on 18 November 2018. Naval ships will be open to school children on 24 and 25 November 2018. On the occasion of the Navy Day, the ENC will conduct a Naval Operational Display on 04 December at the RK Beach highlighting the multi-dimensional warfare capability of the Indian Navy in protecting the vast maritime borders and interests of the country. Rehearsal for the Op Demo would be held on 28 November, 30 November and final dress rehearsal is scheduled on 03 December 2018.